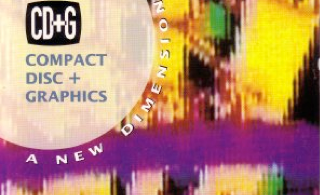 During the late 1980's Warner Brothers (as Warner New Media) experimented with a method of embedding graphics information on music CDs. One of the few players to actually support it was the failed Philips CD-Interactive player, which I owned. It came with the CD+G sampler pictured above and led to me collecting a few of the CDs from which this collection had pulled songs. Notably by Fleetwood Mac, and Talking Heads. I recently started a project to collect all of the CD+G titles released at that time and have acquired all but a few. Eventually got in touch with Orlando who has all but a few. This site will document what we've learned about how to identify them (many have been reissued several times since without the CD+G data). We have new YouTube channel with most of the videos Visit Now! Comprehensive data on each release and how to identify the versions of each disc that have graphics are available in the CD+G Discography. Information on computer software that can be used to view/extract CD+G information is on the Software page. All Cover Art and example CD+G images are copyrighted by their respective copyright holders and are used here for illustrative purposes only.